DizZY VC wowed the crowd last month at We Plug Good Music's ‘One Mic UK: Afrobeats Special’ as he gave us a taster of what's to expect from his throughout this year. Calling on production from Star Boy Ent's very own Maleek Berry, DizZY VC features Ghanaian act Atumpan who is know for his famous song ‘The Ting’. DizZY who is also known as the ‘Vocal Chameleon’ has his own kind of sound, look and style that is ought to capture your attention when you first hear or see him. And is currently signed to ASquared records. 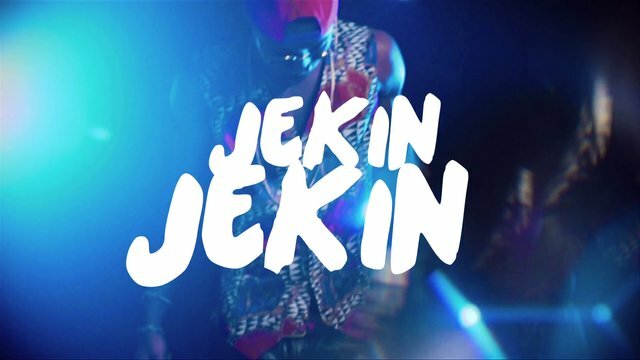 Watch the video to ‘Jekin Jekin’ directed by Visionnaire Pictures below. You feeling his sound and swag? Or will it take you a while to like him? Let me know!